The Sports Club of Tampa Bay consists of men, women, and local businesses dedicated to the support of youth participation in sports. During it’s more than fifty-year history, the Sports Club has played a major role in the development of youth sports for boys and girls, in addition to playing an integral role in the acquisition of professional sports teams in the Tampa Bay Community. Each year, the club raises funds to be distributed through its Foundation, to assist Tampa Bay area efforts to promote opportunities for participation in sport. A major focus of the Sports Club has been the support of the Boys and Girls Club of Tampa. The members of the Sports Club gather at dinner meeting from September through May each year to hear from a variety of leading sports personalities including athletes, coaches, media, and community leaders. These gatherings provide each member an opportunity to share in celebration of the Clubs efforts throughout the community and show support to our local professional, collegiate, high school, and youth athletic programs. 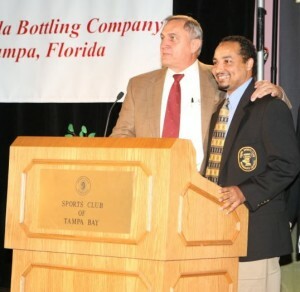 Each year, the Sports Club of Tampa Bay inducts local athletic icons into the Sports Club of Tampa Bay Hall of Fame. This annual event attracts several hundred attendees to celebrate individuals who have contributed to the local sports community. 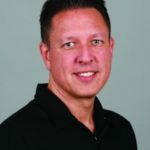 Inductees consist of local sports leaders, professional athletes that have ties to the area, and those that have contributed to the growth of professional and amateur athletics in the Tampa Bay area. Join us for the 2019 Hall of Fame Induction Banquet. Find out more here. The Hall of Fame also serves as the Clubs major fundraising event, allowing us to continue to provide support for the Boys and Girls Club of Tampa Bay, as well as many other worthy sports programs.